Recently the US House of Representatives Speaker Nancy Pelosi, whomped President Donald Trump and then ungraciously rubbed it in. At the State of the Union — which she had forced the president to reschedule — she leaned over and clapped in his face. 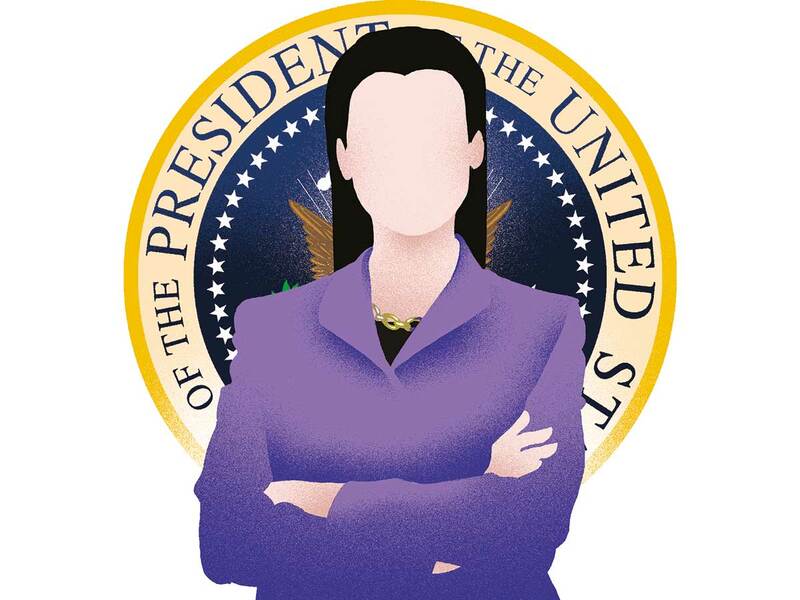 Women running for president, take note. No one is asking whether the speaker is likeable. They don’t do that when you win. And now that there are five of you, enough to field a basketball team, you shouldn’t give it another thought. Lose the happy face unless you feel like it, raise your voice, argue a point, get called for charging the basket and, yes, persist. Each of you has policies, foreign and domestic, to attract support — or not. There are funds to be raised, campaigns to be run, debates to crush and votes to get out. There are too many of you — more of you at the moment than men — to clear a hurdle men don’t have to. Your standard male member of Congress is presumed to be qualified without the added requirement that he be likeable. So are you. As the Year of the Woman gives way to the Year of Many Women, the female candidates are woke to the ways in which they are required to pass a test they shouldn’t have to take in the first place. How sexist to hammer away at Hillary Clinton’s voice, her wardrobe, her hair (as opposed to the most bizarre pile of fur atop a head anywhere). Already, the last campaign is from another era: before #MeToo and #Time’sUp; before millions of women marched, organised and voted; before they knew the damage a misogynistic president could do to women’s health, pay and reproductive rights. One sign that the female body politic is rejecting the additional burden is how Minnesota Senator Amy Klobuchar, a Democrat, responded to the charge that she’s a mean boss. She may well be. They’re a dime a dozen on Capitol Hill, and they’re usually called men. The criticism is partly based on a survey of staff turnover from 2001 to 2016 that placed Klobuchar first on the top 10 list, which contained six other female members. So when women constituted less than a quarter of the chamber, they made up 70 per cent of the “worst bosses.” Please. That doesn’t mean Klobuchar shouldn’t have to answer valid criticism, just that she shouldn’t do it with her blueberry muffin recipe. A double standard doesn’t vanish in a day. Senator Kamala Harris, the tough lawyer out of Oakland, sent out a picture of her homemade cornbread on Thanksgiving and a video of her chair-dancing to Cardi B. Senator Kirsten Gillibrand, perhaps remembering that Clinton won New Hampshire after tearing up in a coffee shop, choked up when telling the story of a young woman’s death to explain her change of heart from an upstate New York gung-ho gun advocate to a blue state gung-ho gun-control advocate. The most determined L-factor prebuttal came from Senator Elizabeth Warren, who announced she was announcing with a video made in her kitchen, just a little too self consciously for comfort. In 2016, the non-partisan Barbara Lee Family Foundation found that striving to be likeable is a zero-sum game; it doesn’t reinforce the qualities that make you fit to sit behind the desk in the Oval Office. The last vestige of it will fade when women challenge one another on issues. Margaret Carlson is an American journalist and noted political columnist.